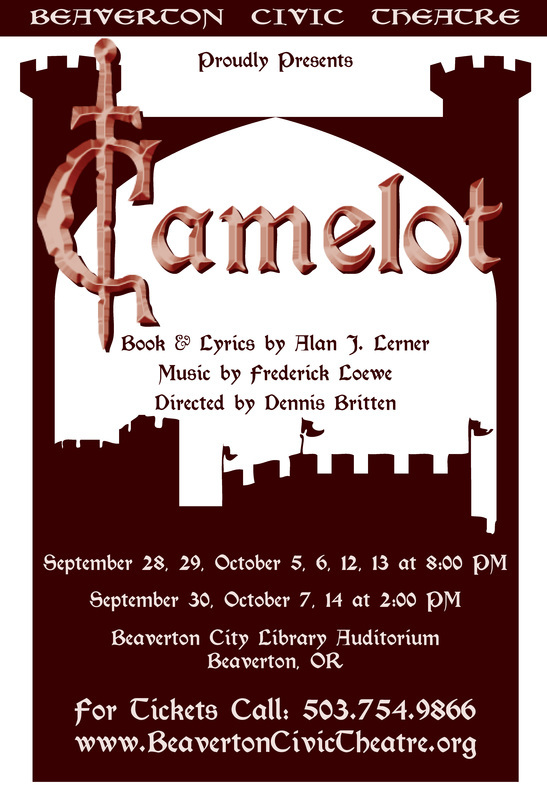 The entire community of CAMELOT awaits the arrival of Guenevere, King Arthur of England’s future Queen. Members of the audience are quickly drawn in. Some of the enchanting musical numbers include The Simple Joys of Maidenhood, The Lusty Month of May, How to Handle a Woman, I Loved You Once in Silence, If Ever I Would Leave You and What Do the Simple Folk Do? In the end it is fourteen-year-old Tom who tells the world of Camelot’s quest for right and honor and justice.